Good evening. I am delighted to join you all here at the United States of America Independence Day reception. A special welcome to Congressman (Rodney) Frelinghuysen of New Jersey with whom I had a very good discussion earlier this afternoon. We are all here to celebrate the 242nd birthday of the US. 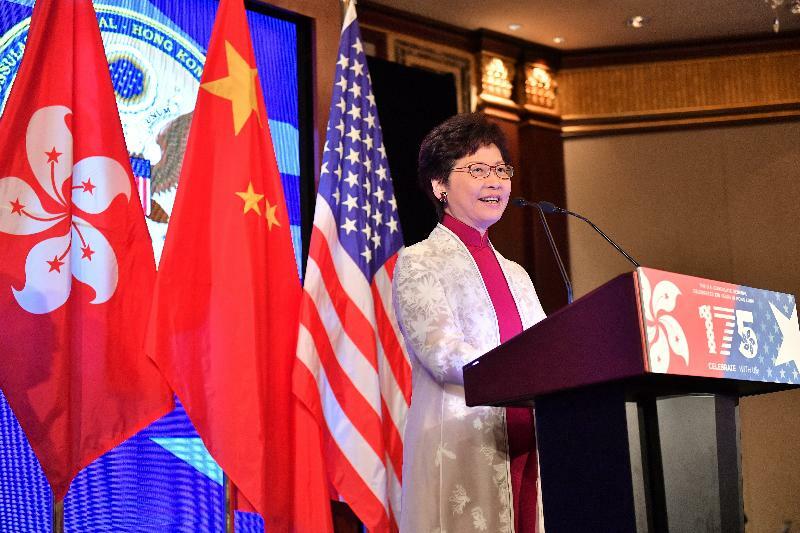 We are here as well to champion the longstanding ties that connect Hong Kong and the US, as this year marks the 175th anniversary of US' diplomatic presence in Hong Kong. My thanks to the Consul General for making clear just how valued our diplomatic ties have been, and how important they continue to be for both sides. The numbers certainly underline that. Last year, our bilateral merchandise trade came in at nearly US$70 billion, up 2.5 per cent over 2016 totals. The US was our second-largest export market in 2017, behind only Mainland China. Hong Kong, meanwhile, was the US' ninth-largest export market. Let me add that the US enjoyed a merchandise trade surplus with Hong Kong of US$32.8 billion. That, ladies and gentlemen, was the highest trade surplus the US enjoyed with any single economy. And you will be interested to know that I actually mentioned this figure to President Donald Trump when we met at APEC meetings last November in Vietnam. Though I cannot be sure, apparently he was pleased. Among the commodities, we are particularly keen on meat and other agricultural products. In 2016, Hong Kong was the fifth-largest market for US beef and veal exports – and your sixth-largest market for agricultural products in general. We are definitely not complaining about our trade deficit with America. Hong Kong always believes in free trade and we have become one of the world's largest trading economies because of free trade. In fact, the Washington-based Heritage Foundation has named Hong Kong the world's freest economy for the past 24 years in a row. Hong Kong was also named the world's second-most competitive economy this year by the Swiss-based International Institute for Management Development, having occupied the first position for the two preceding years. I should add that this year, the first place went to the US. But no grudge. 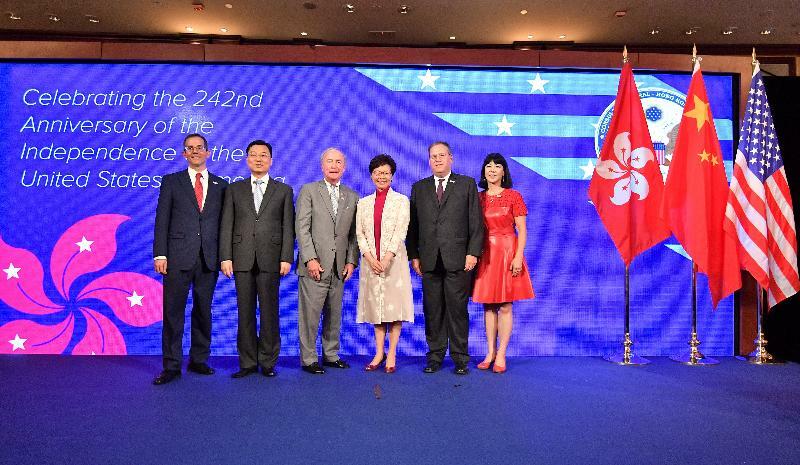 And the World Bank has recognised Hong Kong as the World's fifth-easiest place to do business. The free flow of capital, information and people has earned us our international reputation, and will surely frame our future success, alongside our unique advantage under "One Country, Two Systems", our status as an international financial centre and the gateway to the Mainland of China, our enduring embrace of the rule of law, our world-class logistics and communications infrastructure, our level playing field for business and our low and competitive tax regime. The American business certainly believes in Hong Kong. The Consul General just mentioned that more than 1 400 US companies operate in Hong Kong, and I understand that over half of them have actually chosen to set up their regional headquarters or regional offices here. They are certainly well taken care of here by the American Chamber of Commerce in Hong Kong (AmCham). I am particularly grateful to AmCham's annual Washington Doorknock event, which is helpful in making the case for Hong Kong. Beyond business, we have a long-standing and cordial relationship at government level through strong and valuable enforcement co-operation on various fronts, including counter-terrorism, money-laundering, drug-trafficking and strategic trade controls, etc. Our co-operation is broad, effective, and mutually beneficial. 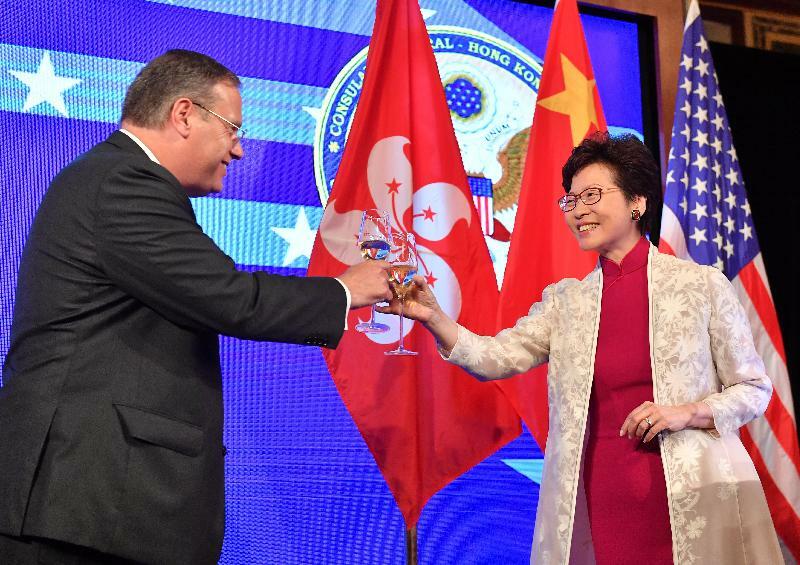 I am also grateful to the 100 000 US citizens living in Hong Kong for bringing the much loved US culture, creativity and dynamism to our city. Ladies and gentlemen, despite our close ties, from time to time Hong Kong and America do have different views on matters. I would say that this is most natural in today's sophisticated and constantly changing world. However I do think and believe you would all agree that we have much more in common than our differences, and there is much room in various areas for us to strengthen our mutually beneficial relationship. We look forward to working with all of you here to maximise our common ground, and build even stronger ties between the two economies in the years to come. On that note, please join me now in a toast to the United States of America on its 242nd birthday. Cheers.